Need something stronger than your standard residential pole? Our 20â€™ Fiberglass Villager III Alliance Pole is perfect for high wind residential situations without the expense of a commercial pole. 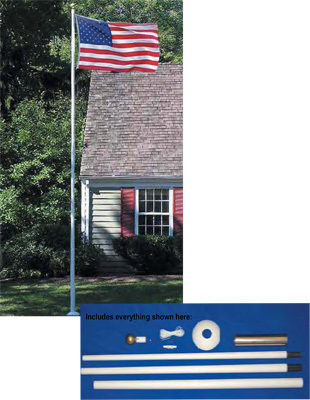 Our white fiberglass pole has a gel-coat finish that looks brand new even after years of use. With a tapered design and a tensile strength of 50,000 lbs per square inch this is the ideal pole for any climate.